Open to all Pace Students! December 4, 2012 - Financial Statement Analysis workship would focus on the financial statement ratios and what they tell us about the financial statements. Time: 12:30 p.m to 1:30 p.m.
Nicholas is the Accounting Director at AltResources where he creates accounting, financial and operational solutions that help grow businesses. Prior to AltResources, Nicholas served as a Controller with PineBridge Investments (formerly AIG Investments) and was responsible for direct, fund of funds and secondary funds. Nicholas oversaw back, middle, and front office functions, and was a key player with front office personnel. Earlier in his career, he held key positions at another alternative investment administrator, consulting firms and financial services companies where he expanded his client service, analytical and industry skill set. Nicholas started his career in the Financial Services Audit Practice at KPMG. His front, middle and back office experience - and client centric approach - equip him to effectively support fund business strategies, individual General Partner visions while understanding portfolio company matters. 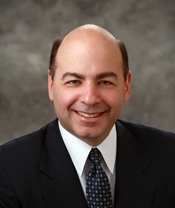 Nicholas is a CPA and received his BBA in Accounting from the Lubin School of Business at Pace University in 1984. He has a MBA in Finance/International Business from NYU Stern School of Business. Nicholas is a Board Member and Treasurer of the MIT Enterprise Forum of New York.